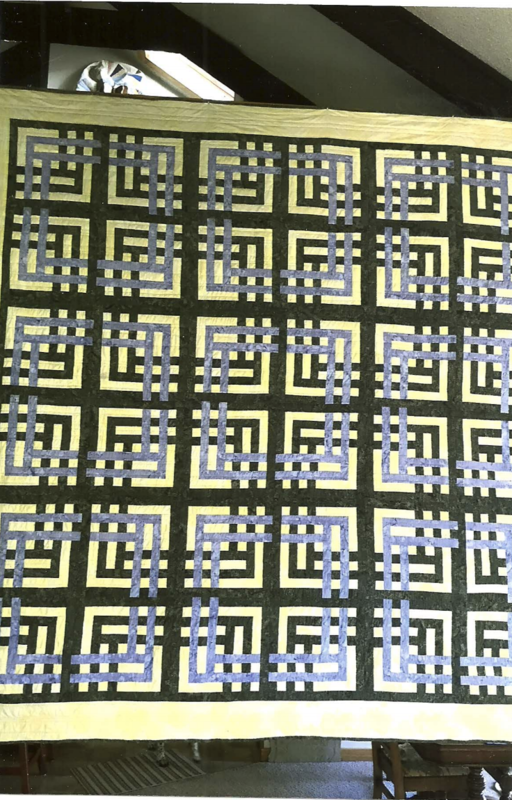 This quilt truly looks like a maze with the geometric blocks that create a pattern. These 16 1/2 “ blocks require a distinct difference in values between the dark, mediums and lights to create the design. Batiks and solids or solid look fabrics work the best to create the interlocking pattern that emerges from these blocks.